All over the country last week people were celebrating Children’s Book Week. An exciting nationwide undertaking that has been going on annually for nearly 100 years, Children’s Book Week introduces new ideas and author to kids and encourages reading. Events and readings took place in cities across the United States at libraries, schools and book stores. Promoting books to kids? Nothing can make me happier! Um, except for maybe this awesome post from Cake Wrecks celebrating CBW with some decidedly not-so-wrecked cakes. See my favorite below, and click here for more amazing looking cakes that will undoubtedly remind you of childhood! Love that cake! Books, kids and cakes = surefire win! 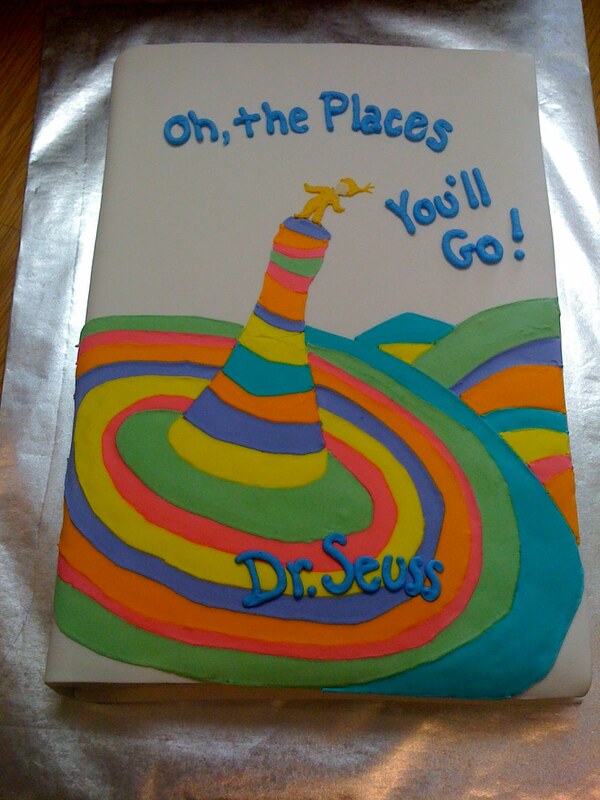 Oh the Places You'll Go -- every adult should re-read it!